Mercedes-Benz traces its origins to two inventions - Karl Benz's creation of the first petrol-powered car, the Benz Patent Motorwagen, AND Gottlieb Daimler and engineer Wilhelm Maybach's conversion of a stagecoach by adding a petrol engine. 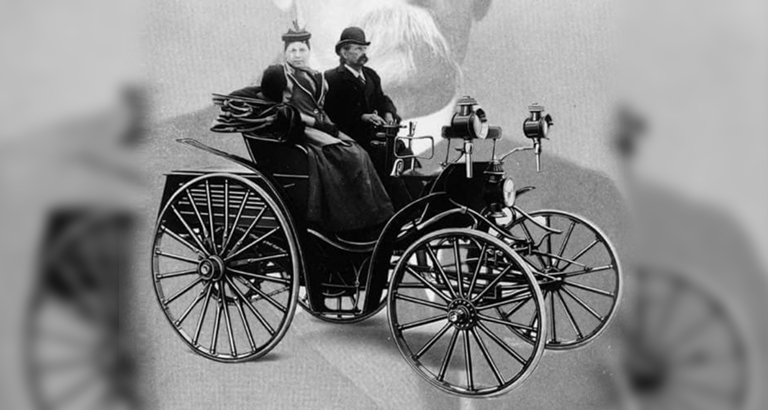 Emil Jellinek, an Austrian automobile entrepreneur, named the 1901 Mercedes 35 hp after his daughter Mercedes Jellinek. At a race in Nice in 1899, Jellinek drove under the pseudonym "Monsieur Mercédès", concealing his real name as was normal in those days. In 1901, the name "Mercedes" became a registered trademark. The first Mercedes-Benz brand name vehicles were launched in June 28th, 1926 following the merger of the two companies.